Are you a Snowbird? The kind (of lucky) person that goes south when the cold breeze comes in and stays there until the Spring and warm weather comes back? 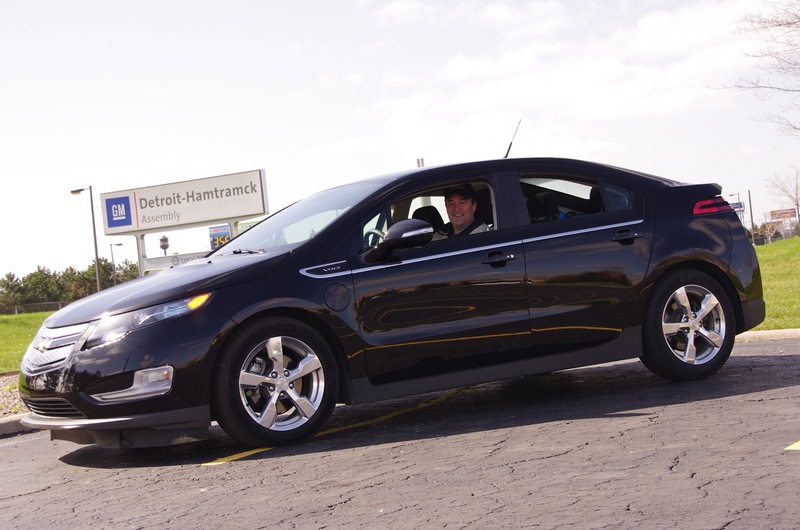 If you also own a Volt, a Cadillac ELR or a Spark EV, then this article is for you! One possible problem of leaving a car untouched for multiple weeks is the 12V battery will slowly lose its charge. The loss is caused by small electric loads that use energy from the 12V battery: the smartphone link for the OnStar remote application, the radio receiver for the key fob. When a lead acid battery discharges, sulfate builds up on the lead plates and permanently lower the battery’s capacity. If your Volt stays at home, you can plug a 12V intelligent charger to maintain the battery. But doing so at an airport parking might be impossible. GM faces this exact problem, especially when they build cars that need to be shipped oversea (like when they shipped Holden Volts to Australia, for example). So GM engineers added a “Transport mode” to the Volt, the Spark EV and the Cadillac ELR. This secret feature is present for all those models from 2011 to now. It is a secret feature intended to prevent the discharge of 12V batteries when the cars are in transit or in inventory on the dealership lots. It can also be used for cars waiting for repairs at a body shop. What this “Transport mode” does, is radically cut all vampire electrical loads. So the smartphone link is turned OFF, the Key Fob radio receiver also. While activated, transport mode will prevent the use of the OnStar App and the use of the remote key fob to unlock the doors. How is “Transport Mode” activated? 1. Start the Volt as usual, and leave the shifter in Park. 4. Push on the Start button for 15 seconds or until the “Transport Mode activated” message appears on the driver information screen (DIC). While the car is ON, you will notice that the red battery light will be flashing. This is normal. You can then turn the hazards off, remove your foot from the brake, turn the car OFF, step out and lock the car. It is now in a very low energy consumption mode and will be fully usable when you return to it in a few weeks or months. How to deactivate “Transport Mode” ? 1. With the mechanical key, unlock the driver’s door and get into the car (remember: Key fob remote receiver is deactivated). 2. Start the car as usual (pressing the brake and start buttons simultaneously and releasing both after the is ON). 5. Press the Start button for 15 seconds or until the “Transport mode deactivated” message appears on the DIC. Volt Gen1 Transport mode deactivated. This feature is undocumented in the owner’s manual. It’s a feature normally used only by GM and their dealers. Here is the techlink reference from GM, indicating it’s usage. With this information, you can have a great stay wherever the weather is warm and when you return, your car will be ready to go and fully functionnal!